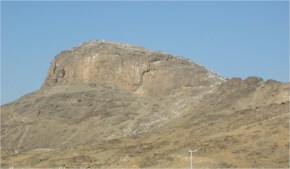 Ministry of Hajj located in Al Hamra and Umm Al Jud, Mecca . 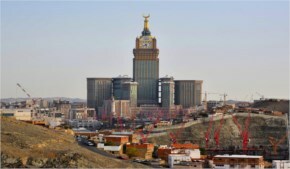 The ministry building in Mecca consists of three buildings that consist of ten floors, including three ground floor, that dedicated to minister's office and agencies of ministry and public administrations, and executive departments, it is with an area of 58 thousand square meters. Ministry of Hajj is responsible for the Hajj and Umrah Affairs and the granting of visas to Muslims coming to Saudi Arabia to perform the Hajj or Umrah, secure and facilitate the movement of pilgrims to and from Mecca and Medina and the holy sites, and work on their rest. The Ministry of Hajj and Umrah in Saudi Arabia is the only ministry that cares for the Hajj and pilgrims in the world because the presence of the holy sites is in Saudi Arabia. The Ministry of Haj carries out its duties in coordination with the government and local authorities to facilitate observance of pilgrimage, control and regulate services through the development of systems, use of ​technology, increasing the effectiveness of staff to serve pilgrims, and performance of infrastructure works with a core focus on offering religious hospitality in compliance with the international standards. The ministry aims to be the ritual of Hajj and Umra codified with much ease and convenience in an atmosphere of peace and tranquility. The Ministry of Hajj and Umrah seeks to achieve a full spectrum of objectives, mainly: Delivering high-quality services for the benefit of pilgrims, Offering haj services with much ease and convenience through the use of human efforts and highly sophisticated technology, Improving staff skills on the ground to ensure that high-quality services are delivered to the pilgrims and Umrah performers by the use of effective and excellent training programs.​ This ministry formerly known as the Ministry of Hajj and now known as the Ministry of Hajj and Umrah.